Spray pan with cooking spray and heat on medium. Add onions & bell peppers , saute for 1-2 minutes. Add salt & pepper to egg-white mixture and add mixture to pan. 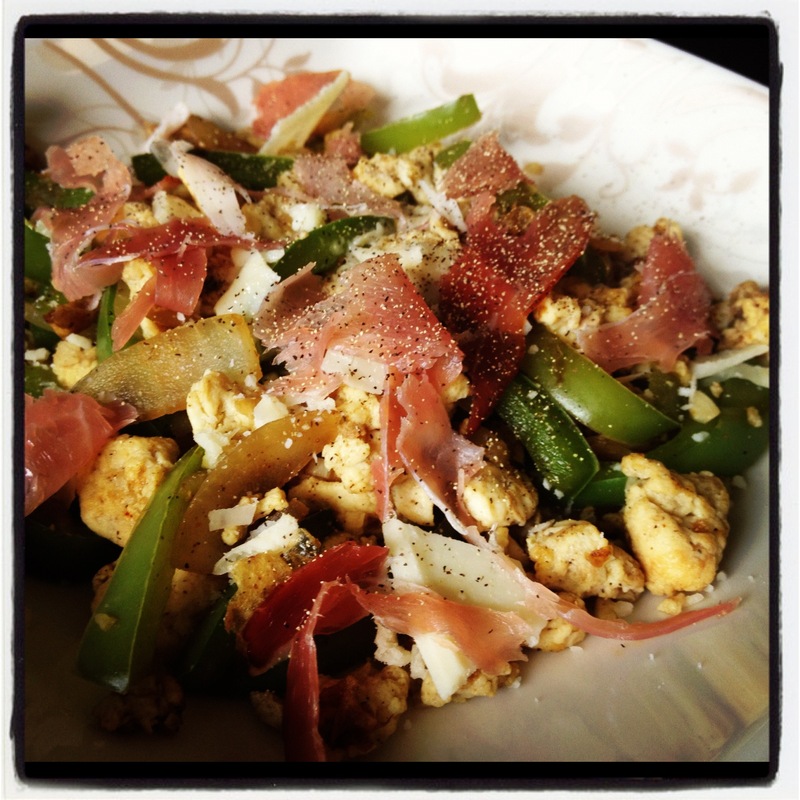 Plate the scramble & top with parmesan cheese & shreds of prosciutto.